Home Featured MMA GLOVES – WHATS BEST FOR MMA TRAINING? On the surface, Which MMA Gloves should I use for MMA Training? Would seem like a really simple question to answer, but with the multiple different training options and techniques required, not to mention the different styles now in Mixed Martial Arts, this question is not as straight forward as you may think. The choice of glove in a sport such as Boxing is less complex as the technical requirements are far less diverse, you may use upto three different sets and sizes for hitting heavy bags, pads and then for sparring but in Mixed Martial Arts all of the above are relevant as well as adding in further options for clinch, grappling and ground and pound work on the floor. 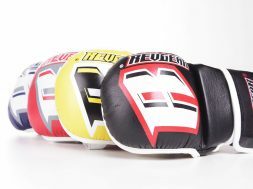 Largely, there are two styles of MMA gloves on the market today, however REVGEAR added a third a few years ago called the Deluxe Pro which we’ll revisit slightly later. Principally there are two categories of MMA gloves, competition, which are universally 4 ounces and sparring versions which alternate between six, seven and eight ounce sometimes depending on the hand size. Many coaches and athletes also use boxing gloves and sometimes specific bag gloves in their day to day training so this article is not just about MMA gloves more about the variety of gloves that are regularly used for Mixed Martial Arts training. 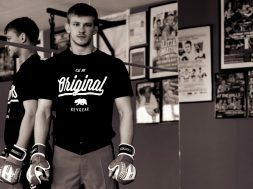 Boxing gloves of multiple size and variety, are often used in MMA for both pads rounds, bags and sometimes also stand up training, however Karl Tanswell of SBG Manchester, has an interesting perspective. Shane Dalton, head coach at the LAB, Arizona, has what I might describe as a similar traditional view point on which gloves are best used in which situation. With top fighters such as Benson Henderson, Mackenzie Dern and Augusto Mendez, alongside a huge roster of up and coming UFC fighters and of course pad work master Eddie Cha, The LAB is on the gyms to watch list for serious MMA pundits everywhere. What was interesting in Shane’s viewpoint was their more extensive use of 4oz MMA Gloves such as the REVGEAR Challenger. “We like to utilize the 4 ounce glove with the exposed thumb for Jiu Jitsu movements as well cross utilizing them for padwork to include takedowns and submissions” Shane Dalton. The LAB. Az. Over to Miami! American Top Team’s Jake Bostwick likes to use boxing gloves extensively in his training. Jake is currently using the REVGEAR S4 and 10 ounce competition glove for bags, pads and stand up sparring but switches to the Classic MMA Sparring glove for his MMA sparring. 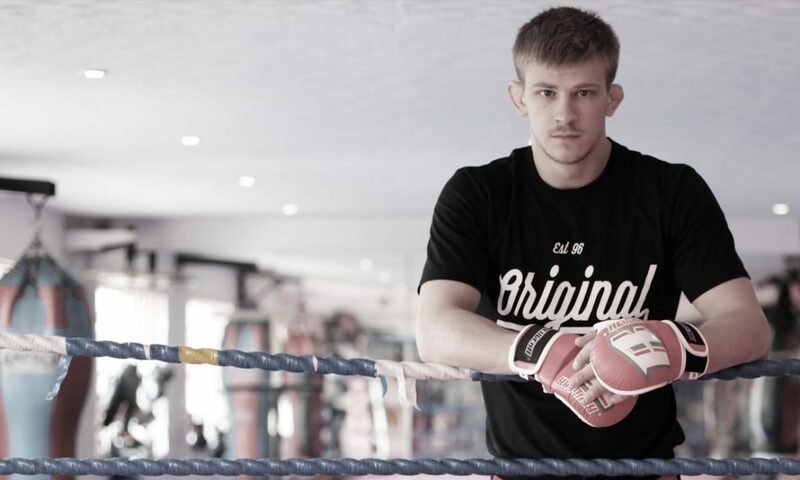 London born Jake, like many an Englishman has a heart in Boxing which is reflected in his love of high quality boxing gloves so when he dropped his Grant’s for Revgear S4 it was a true compliment! I mentioned I would come back to this glove early in the article. The Deluxe Pro glove is an MMA sparring glove that is designed in the style of a competition glove. They have 7oz of gel padding however it tends to feel a little heavier in sparring than the Classic “Puffie” MMA Sparring glove. Recently I used this glove as a bag glove whilst training and found it to give excellent protection almost as good as a 10oz boxing glove. I think this use could be something which many MMA Fighters could take an interest in as it allows a much greater range of movement or techniques than either a boxing or classic MMA sparring glove allows. See the video for more detail.